So the World Cup ended about a week ago and had time to think about it. 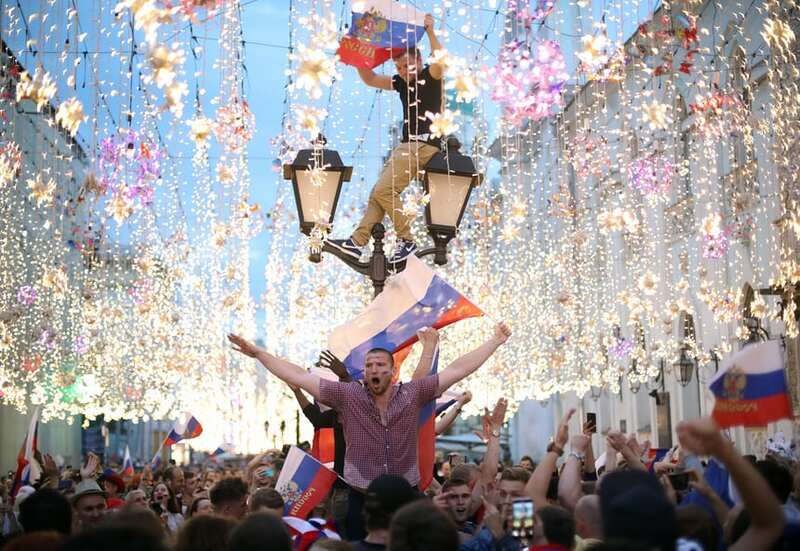 I think most people will agree it was a really good World Cup – on and off the pitch. Some people saying it was possibly the best World Cup ever? But I heard of nothing major. I did hear about some isolated things though. 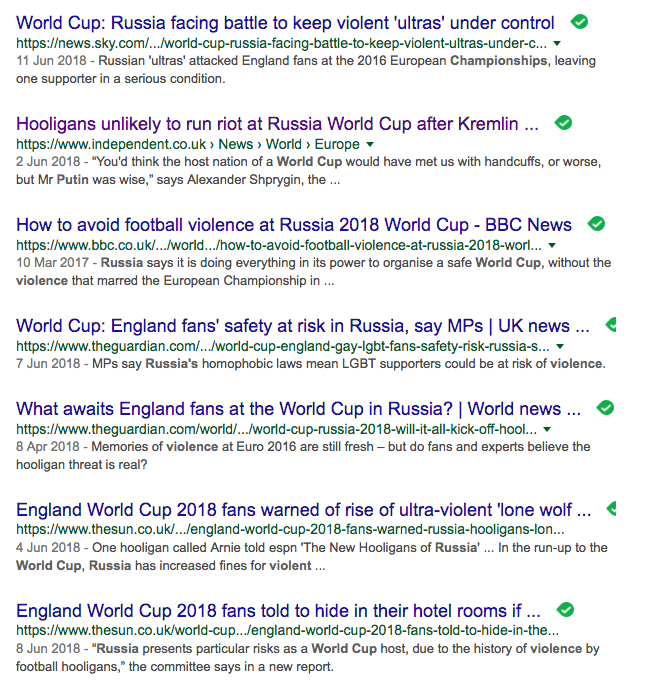 And it wasn’t just watching/reading UK media and seeing lack of incidents, saw on social media from people who were actually at the World Cup and in Russia and how brilliant they found it all – the actual organisation of the World Cup but how warm and friendly the Russian people were. Nothing like the reputation they same to have outside of Russia. Another way of thinking about it all though was that all eyes were on Russia so the last thing Putin would have wanted would have been it being ruined by hooligans. I wonder if Putin had some zero tolerance thing where any problems and people would be locked up for a long time?? Or maybe with Russia doing so well in the World Cup, this reduced chance of problems. Similar with England fans – we all know that when England fans go abroad, there is often incidents when a few England fans who can’t handle their drink, act stupid. Just a few months ago during a friendly in Amsterdam, there were England fans jumping into canals, throwing beer at tourists and throwing bikes into the canal. Anyway, back to the actual football. And what great football it was. There were so many great games. The very first game, Russia beat Saudi Arabia 5-0. Saudi Arabia were pretty rubbish but that really kicked the game off with the host scoring so many goals – and playing well. Then there was Spain v Portugal which had it all. Goals, incidents, Ronaldo hat-trick including last minute goal. Also, we had lots of the “big teams” going out early so plenty of shocks, drama and the underdogs winning. The semi-finalists in this World Cup between them had 2 World Cup win. In 2014, it was 10. There were lots of last minute goals – there was 9 winning goals which happened in the 90th minute or later. In 2014, it was 4. Loads of great fans – the South American fans seems to bring with them so meant passion (and noise). The Panama fans went crazy when they scored goal v England – to make it 6-1! It was their first ever World Cup goal. Lots of VAR drama – BUT I think 9 out of 10 of the decisions it (the ref with aid of VAR) got right – just a shame that in the Final it went all wrong with the penalty). The best use of VAR was that 1st South Korea goal v Germany. Was given as offside but then rightly changed. Who knows what might have happened if goal was not given. We had both Ronaldo and Messi at the same World Cup (at one point it didn’t like it was going to happen) – unfortunately both didn’t really perform that well but had their moment. Ronaldo had more “better moments” than Messi who was pretty rubbish – as was his teammates. But each produced at least one moment of magic. E.g. Messi scoring great goal, Ronaldo hat-trick including that freekick. It was tough work for Messi though – carrying his team, the hopes of a country. (And managing a team!) Will this be the last World Cup for Messi and Ronaldo? Maybe. You get the feeling that the baton is being passed on to Mbappe. So many! Pavard volley, Nacho volley, Quaresma, Trippier freekick, Lingard, Cheryshev (x2. That touch to dink it over defender for his 1st v Saudi Arabia), Kroos (THAT freekick), Ronaldo (last minute goal), Chadli – last second goal (very good goal but meant more for its timing and being the winner), Messi, Di Maria screamer, Mertens, Cavani, Kolarov, Coutinho. Probably forget a few others! And while talking about playacting, have to mention Pepe. Hes been doing it for years but still does it. Diving, rolling on the floor to try and get players sent off. Its just cheating. 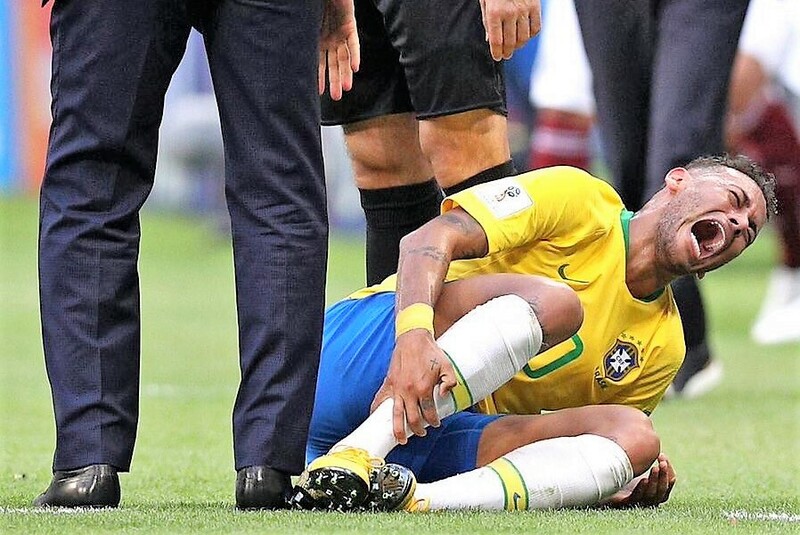 But Neymar and Pepe were not the only ones – punishment needs to be harsher – and maybe they will stop it? Player of the Tournament: Modric. Closely followed by Hazard – surely now off to Real Madrid? Most polite team and fans: Contender is Senegal who’s fans tidied up after the match. May have been done by other teams but not photographed) but this vote goes to Japan. There fans bought big rubbish bags and cleaned up rubbish at end of the match. 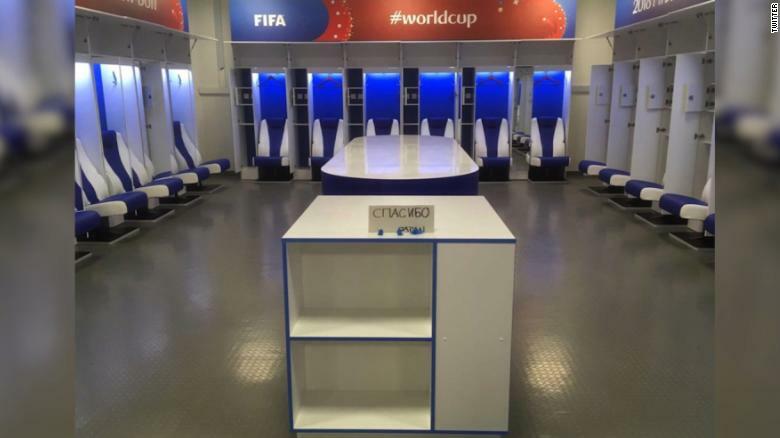 And the team, after losing last minute to Belgium, left the changing room spotless and left a note saying Thank You in Russian. Putting Pickford in because made World Class saves which gave England defence confidence. And without his saves, I think England would have actually gone home much earlier. Subacic and Lloris had good WCs but ruined it all in the Final. Godin – although Uruguay didn’t get to later stages, he was immense! Perisic – would love him (or Rebic actually) at United! Arguably there were not totally stand out, strikers. Certainly not Kane! 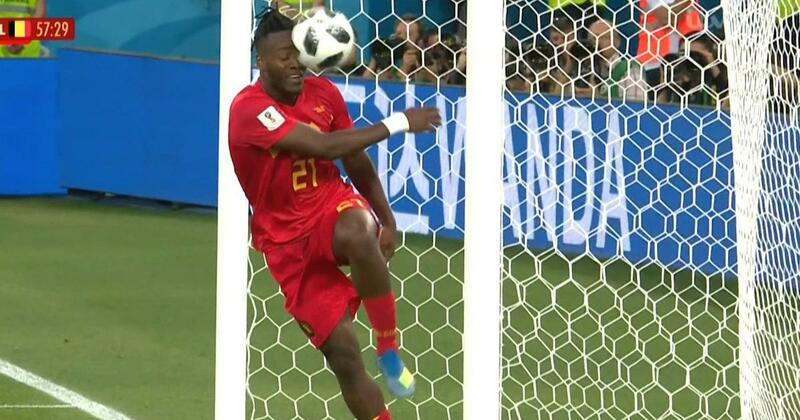 Mbappe was really good but think the best out and out striker in World Cup was Lukaku. Kept changing my mind on Pogba or De Bruyne. I decided to go for Pogba – getting to final tipped it towards him as well as the goal in final. And him basically being France captain with stuff shown on and off the pitch. I was impressed with Cheryshev ever since he came on as sub fairly early on in first game when his teammate got injured. (Team probably a bit too attacking. In reality if this was a team, I would put Kante in – probably for Cheryshev. Kante – without him, France not same team. De Bruyne – such a good footballer! (I heard Inui did really well for Japan but didn’t see enough of Japan play).